Monday evening my wife and I took our grandson out to a local lake to enjoy some relaxing family time. We had a great evening together watching the other folks, seeing the boats on the water, and playing on the huge playground near the marina at Beech Fork Lake. You probably have already realized that I’m a nature lover: birds, flowers, animals, all of it. Well, as I suppose most three year olds are, Connor is, too; I can’t say if he likes the animals or the old, dead trees best though! Monday we saw lots of animals out after the heat of the day had settled and dusk approached. There were two that caught our attention more than the rest: a young deer and a raccoon. Both of these creatures were unusually carefree of our presence. In fact, I told Billie that they were so accustomed to people that they were probably almost tame. In case you’re wondering, we didn’t press our luck and test my theory. I don’t know what Heaven holds for us; the Bible tells us it is beyond our comprehension and imagination. But I can imagine a place where every thing is in perfect peace and harmony. Imagine that the beautiful creatures we admire but can’t approach here on Earth, like the deer and raccoon, we’re truly tame and not only would let us approach them but desire it. I can imagine a place much like the Garden where all is perfect and free of sin, death, and disease, a place where we will walk with God in perfect fellowship for evermore. I can imagine all this and more. Yet God’s Woes says it will be so much more, so much better than I can imagine. Makes me look all the more forward to seeing it someday. Until that day though I, and you, have a work to do, to spread the Gospel of Jesus Christ to dark and dismal world so that they too may have the hope to look forward to that we can only imagine. 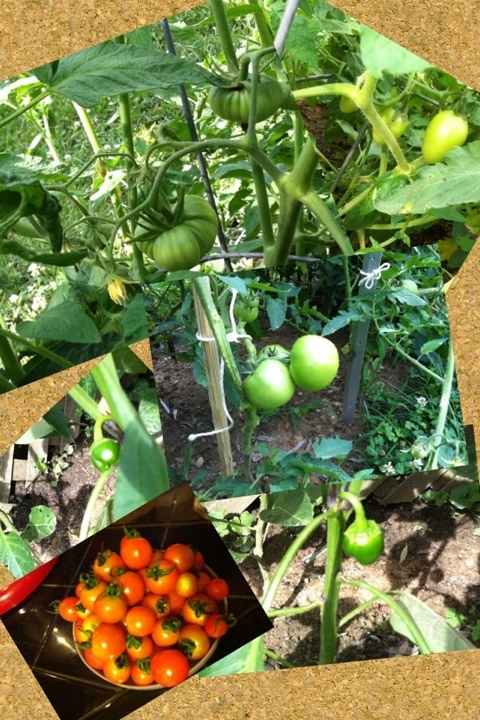 Earlier this evening I shared this photo on Facebook of my tomatoes and peppers; they are small still but plentiful. I wrote that I was expecting a bounty of fruit from them. After thinking about it, prompted in part from a statement by a friend, all I have now are good prospects for a bountiful harvest. They are many things that could go wrong between now and the time the fruits ripen enough to pick: disease, pests, and weather misfortunes are some of the possible setbacks. I expect a good crop but could be very disappointed between then and now. In our lives we anticipate, even expect, good things. Very rarely when the storms or pestilence comes in our lives are we expecting them or really ready for them. As much as we try we cannot always be in a position to control very much of what happens in the garden of our lives. But we can count on the Master Gardener to see us through all things. Patiently a gardener will wait on his crop, tending it all the while. 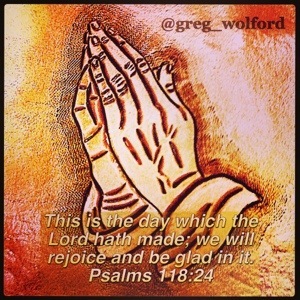 How much more will our Lord tend to and nurture us through what ever we face? The following was written by a list member. It was sent to me yesterday and with their permission I share it with you today. “I was thinking of something from my childhood, about a time when me and my father had these cuttings from some petunias. We wanted to root them and make new plants. Well we went out and spent money on items that would make these cuttings grow into full strong flowers. We tried every thing we could think of but at the end of the week they withered and died so we gave up. Later that week we were going to the library. As we walked along I looked on the ground and saw that cuttings from a hanging plant had fallen and with no special treatment had grown in a small crack in the sidewalk. I took this photo of one of my dogs, Gypsy. It was completely spontaneous (not set up) and is one of my absolute favorites of her.